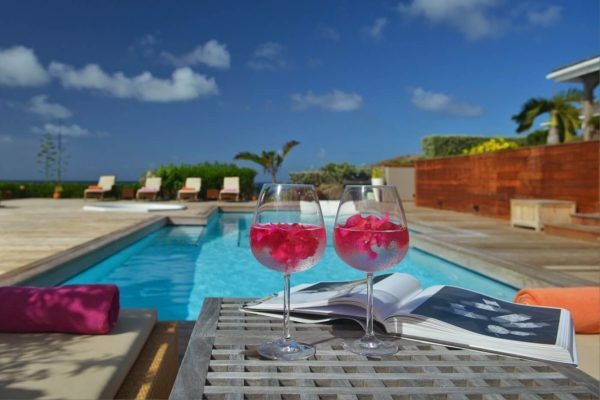 Villa Rose des Vents is on a quiet hillside overlooking the pyriad shades of blue and green of Grand-Cul-de-Sac lagoon. 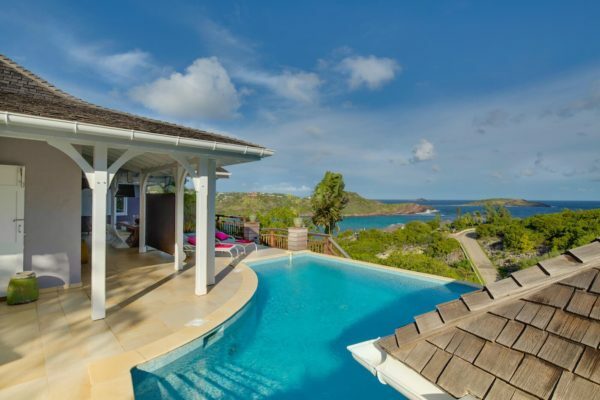 The villa may lull you into watching and listening to the waves crashing in the distance for hours on end. 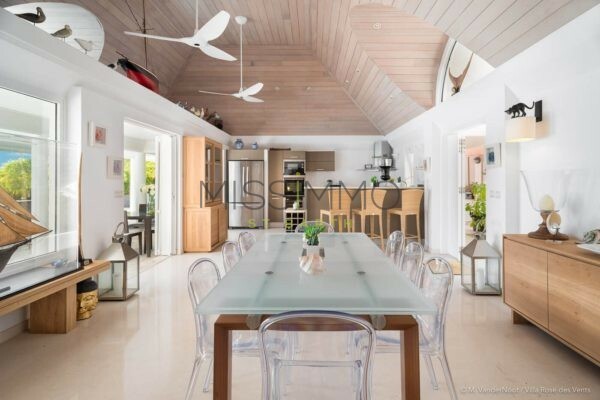 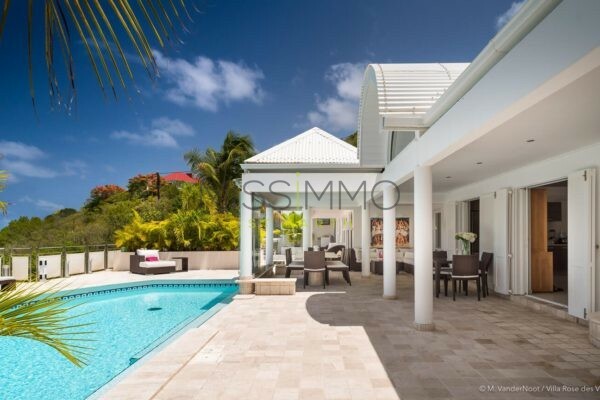 Laid out in a creole style, this home has been lovingly renovated and is meticulously maintained. 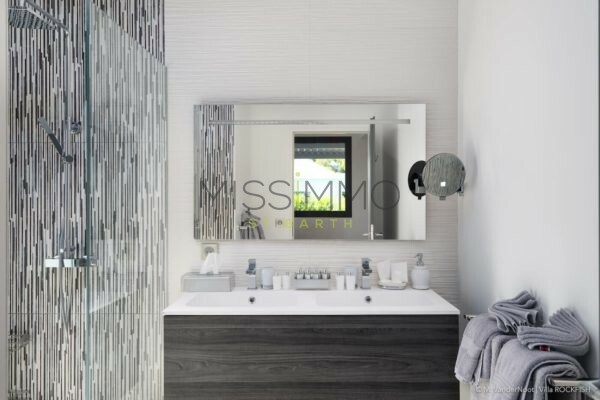 There are three ensuite bedrooms on the main floor of the residence. 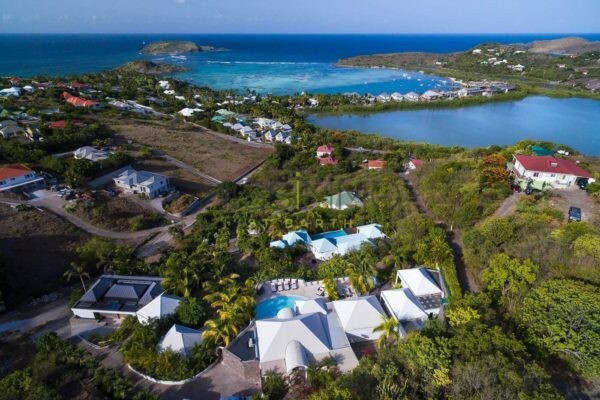 Each bedrooms offering ocean views, comfortable queen size beds, air conditioning, and also satellite TV with DVD players and other modern conveniences. 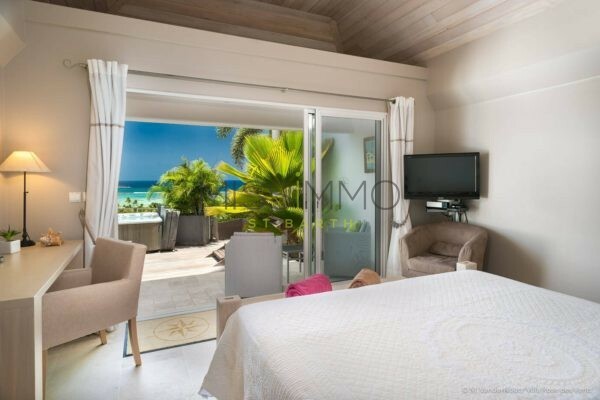 A fourth bedroom with its own private terrace is apart from the main house. 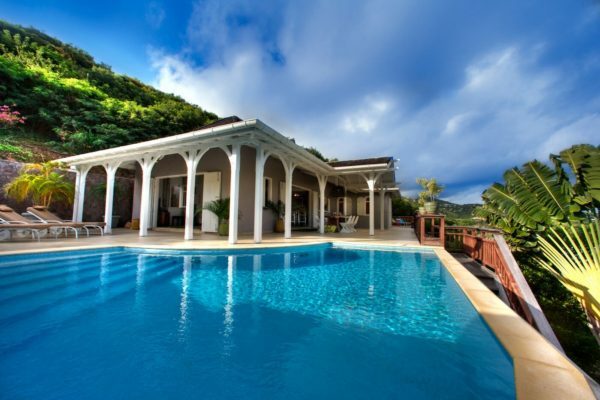 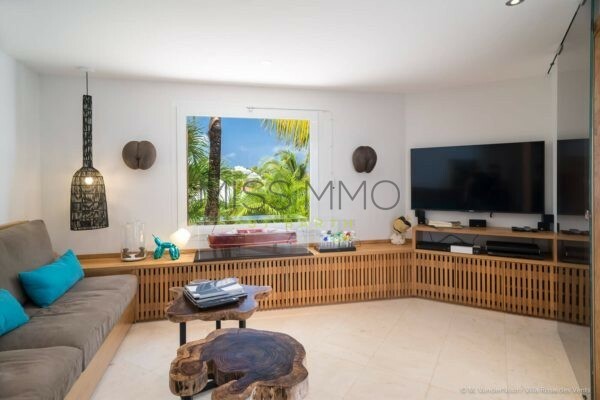 Rounding out this villa’s features a heated pool, fitness room and media room. 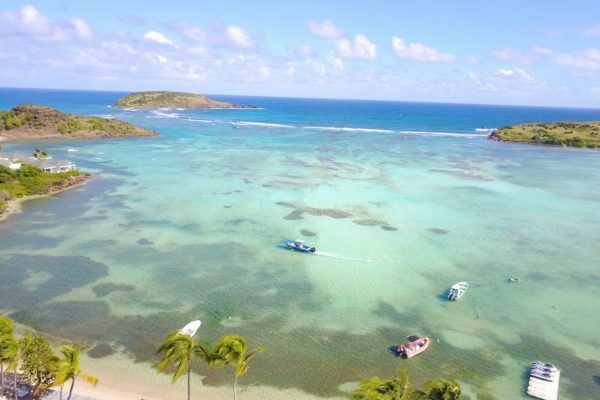 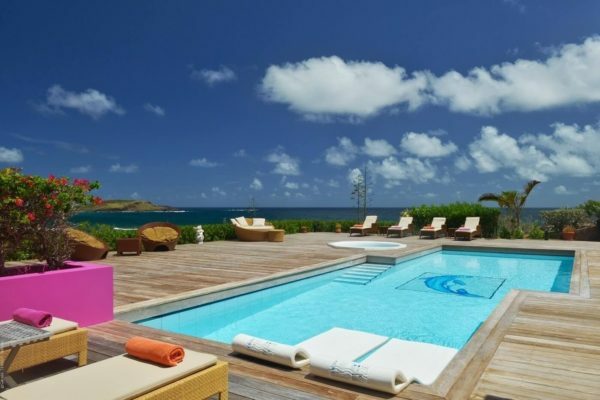 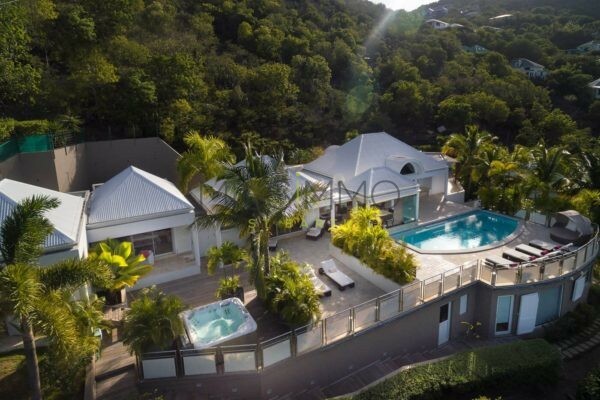 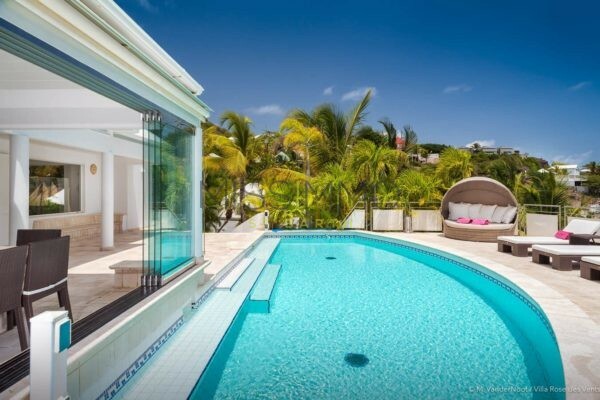 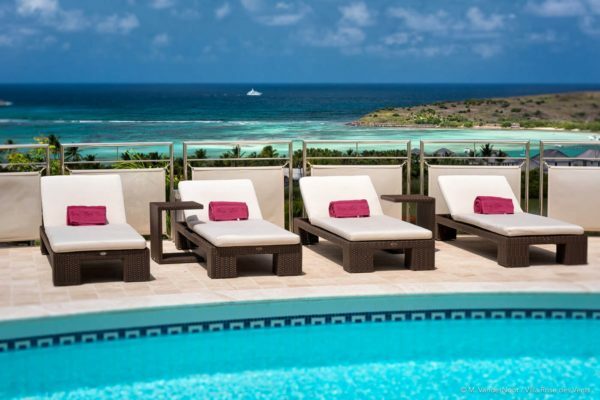 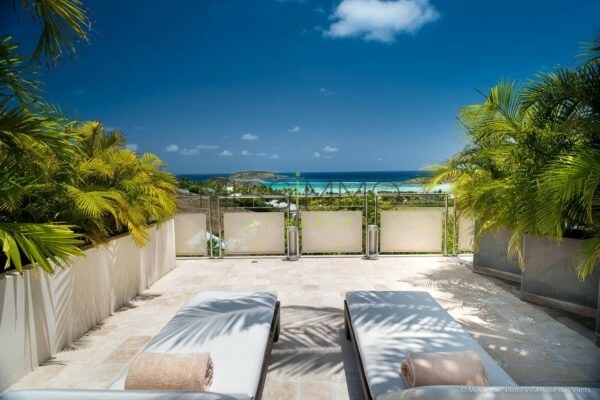 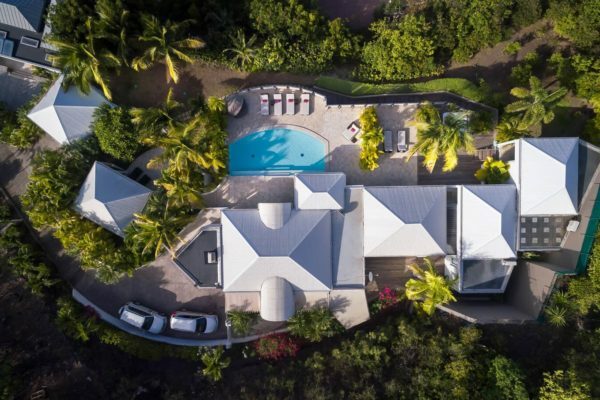 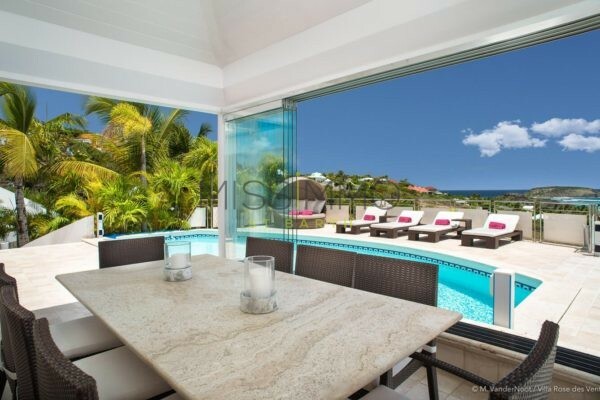 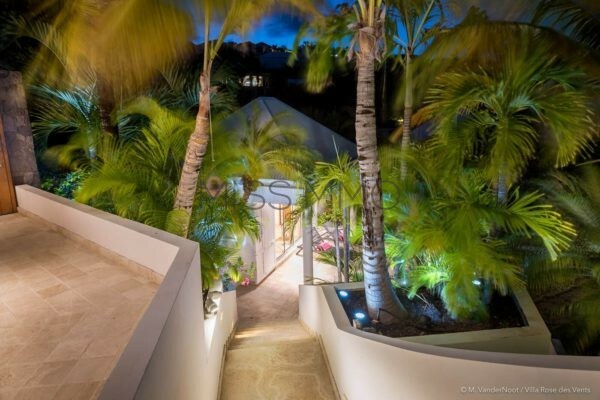 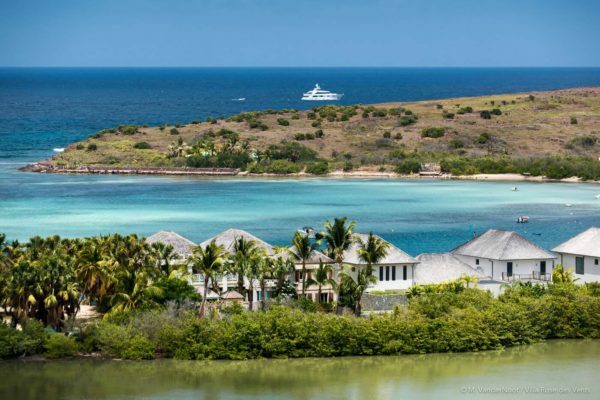 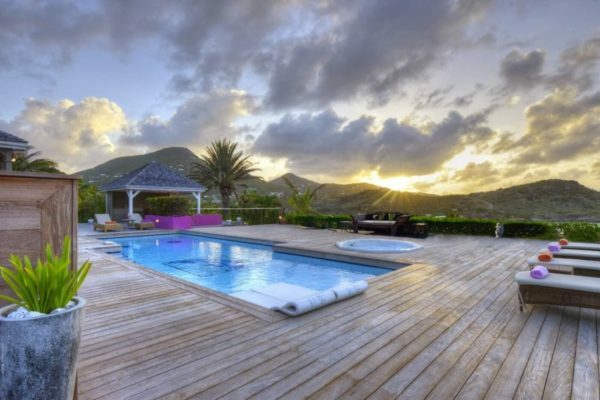 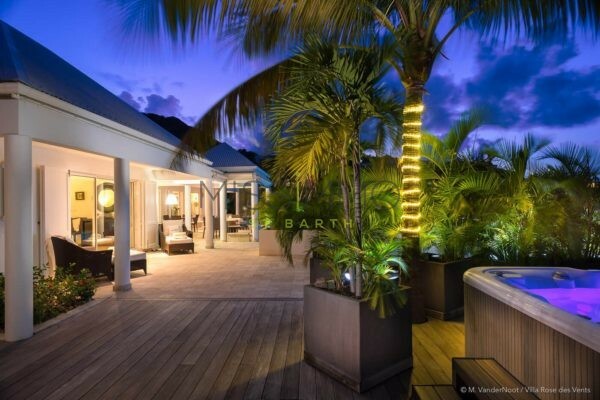 Somewhat removed from the bustle of Gustavia and St Jean, Rose des Vents offers an air of peace and tranquillity, as well as proximity to some of St Barth’s best beaches and fine dining. 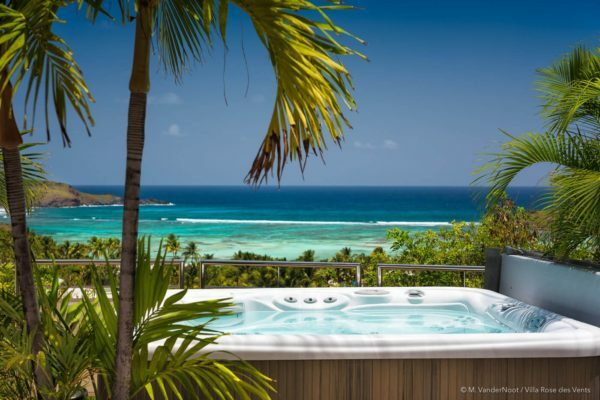 In addition to the pool, a hot tub is also available, seating 6 guests. 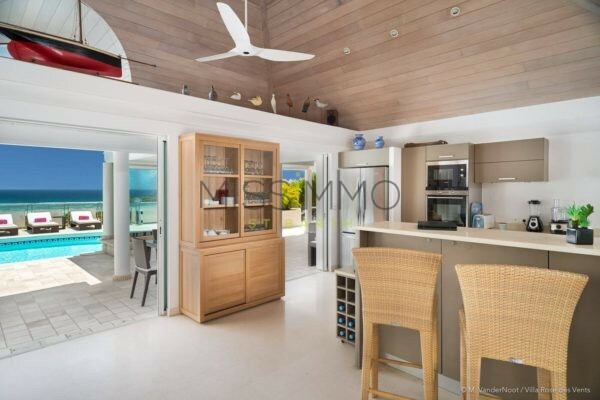 Only need two or three bedrooms based on your party’s size? 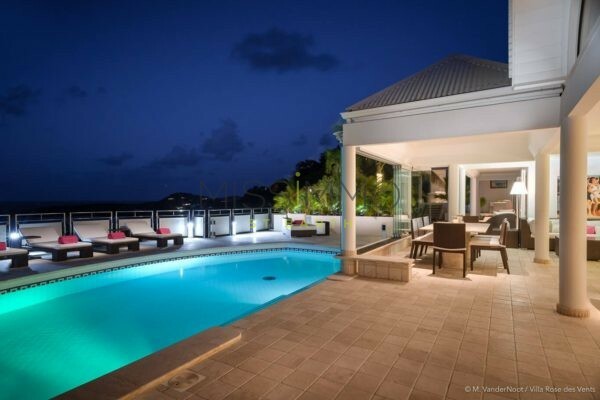 Other than Christmas or New Year’s, we can make that happen at reduced cost to you! 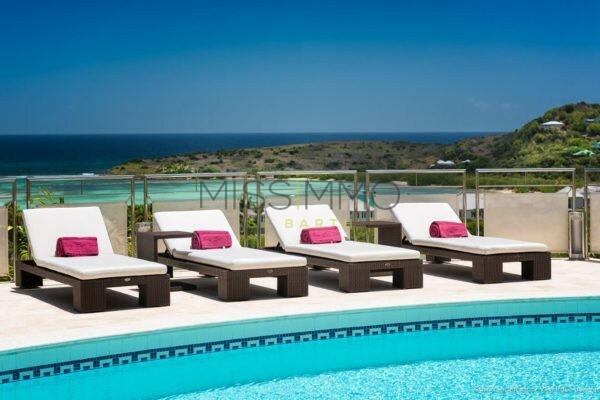 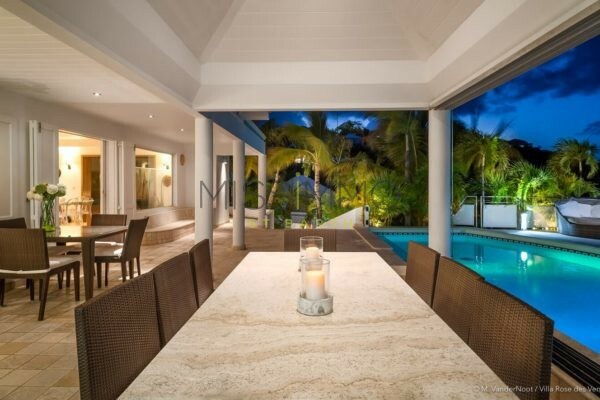 Pool (4,5x9m) – Hot tub (8 places) – Dining table – Lounge chairs – Gas Barbecue. 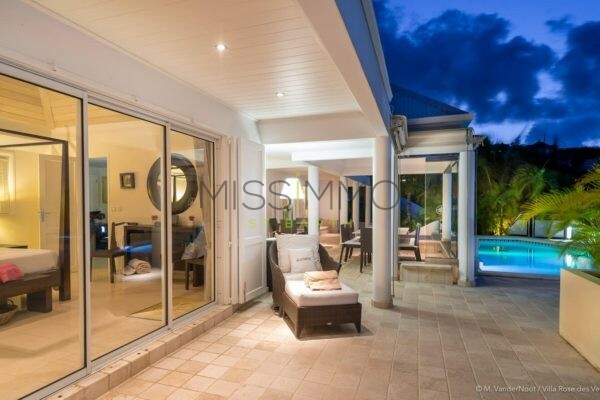 Air conditioning (TV Room) – TV – French Satellite – Dish network – Apple TV – Ipod Dock – WiFi. 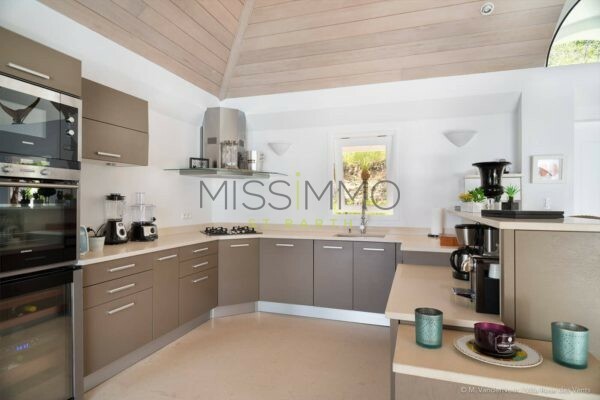 Equipped for 8 guests: Fridge – Freezer – Oven – Cooktop – Dishwasher – Microwave – Coffee maker (Regular & Espresso) – Toaster – Blender – Wine storage – Bar. 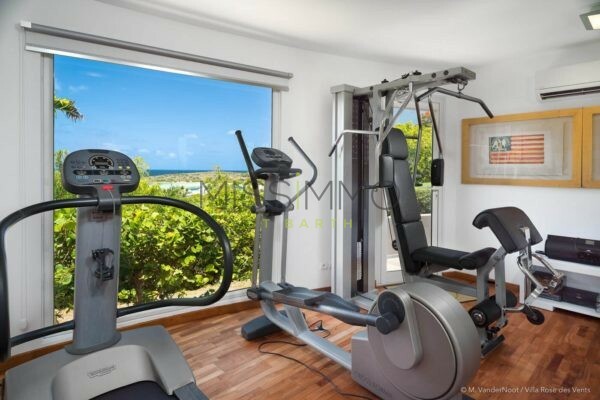 Treadmill – Elliptic – Work out bench. 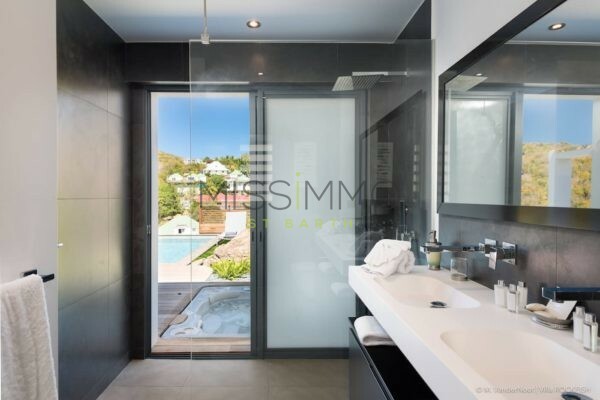 Air conditioning – Euro King Size Bed – Safe – TV – French satellite – Apple TV – DVD Player – Bathroom with shower – Private terrace.